My grandpa, Alfredo de la Rosa, Sr., passed from us on February 8. He left behind a lot of people who will always miss him and never forget him. I grew up with him always being there, and I never thought about him dying – it seemed like he never would. He was one of the strongest people who ever lived. He endured many challenges in his life, and even survived cancer in his 80s. I think, for most of my family, it felt like he would always be there. He was 95 years old when he passed, which is a landmark accomplishment for most people. But still, I feel like his time came too soon. I remember spending time with my grandpa when he was younger and full of energy. We would go outside to water his gardens and he’d pick roses and lilies for me. I still have some pressed flowers that he gave me that I treasure. As the years passed, I remember how he hated getting older because he couldn’t do things like he once had. Once, he showed me a picture of his first-born son (my uncle Alfredo Jr.), and told me about a time when my dad and my aunt and uncles were young. I loved listening to his stories, and I enjoyed the times that we got to be together. I always felt that those times didn’t happen often enough. My grandpa always could say a lot in a few words, and you could really learn a lot from him if you listened. I found out a lot about my grandpa after his passing that I never knew before. I always knew he was great, but he was an even better person than I thought. Though his life was hard, adventurous and challenging, he always came out on top, and he was always kind and generous to people, even people he didn’t like. And now, as I look at pictures and listen to other people share stories about his life, I am amazed at just how incredible he really was. Born in Mexico City in 1917, he came to the United States when he was around ten or twelve years old and learned English fluently within a year. He moved back to Mexico as a young man and got a job as a welder at a textile mill in Rio Bravo, Coahuila de Zaragoza in 1944. He quickly became accomplished at his craft and even created some artesian items, including a pair of rings, which are stunning and look like they could have been made by a professional jeweler. 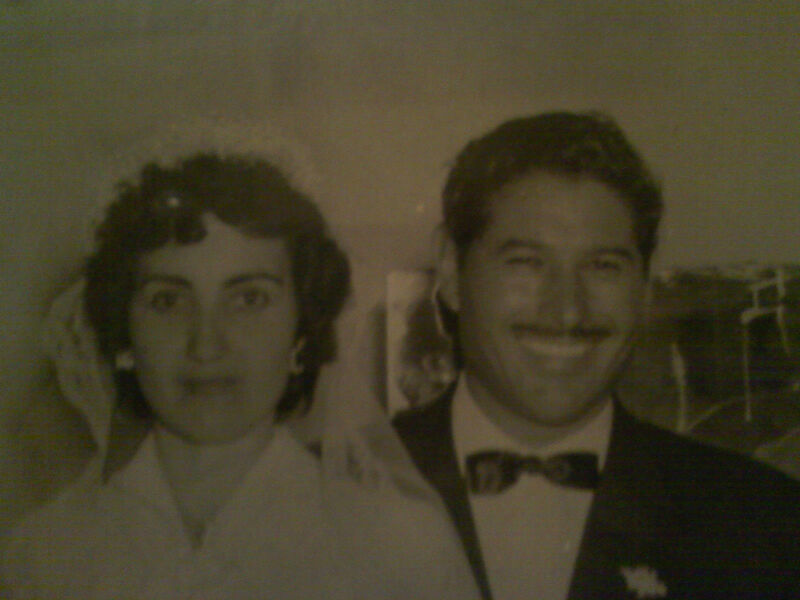 One of my favorite stories is about him and my Welita (variant of abuela), Maria Isabel Ibarra, meeting and getting married. They met when they were young but didn’t really get to know each other well until years later. He had been friends with my grandmother’s brothers for years, and he was attracted to my grandmother, but my Welita had a suitor. Grandpa’s family and friends were always telling him he should just marry someone else, but he wanted to wait for Welita. He said she was the only woman for him, and if he couldn’t be with her then he would never marry. Eventually, his patience paid off as she chose my grandfather as her beau. I’ve heard that they waited to marry until her mother died, because she was too busy taking care of her ailing mother to move to the United States. My grandpa wanted to earn enough money to be able to provide for her, so he moved to Texas and began working in construction. They constantly exchanged letters. 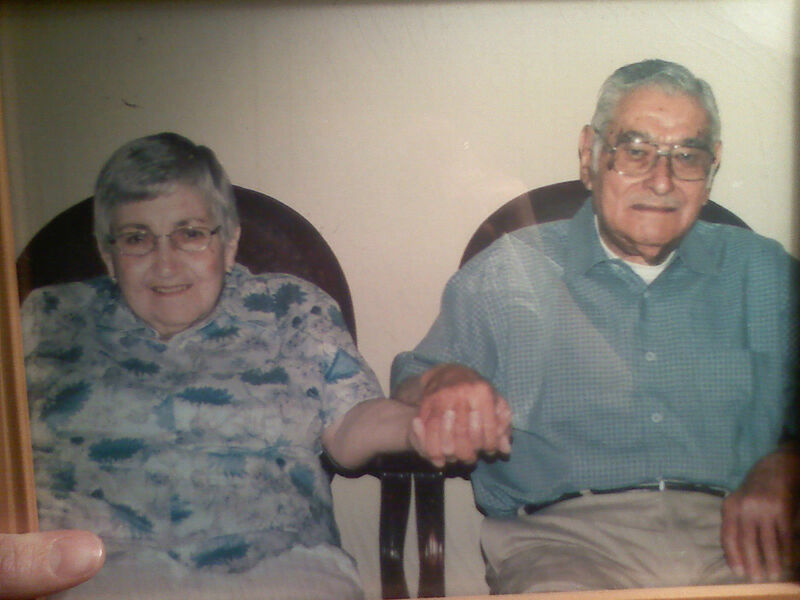 When her mother passed away, my grandpa came back to her, and they eventually married and started a family of their own. In 1958, my grandpa moved the family to Port Arthur, Texas. 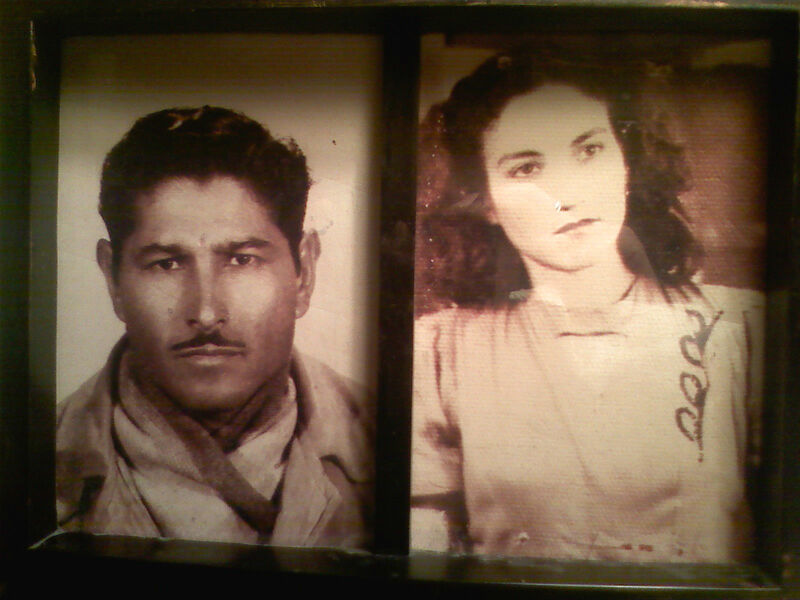 Above: Grandpa and Welita in their younger days and later days. I still don’t know enough about my grandpa’s life. I may never know enough. It seems that he lived a life full of endless surprises. He was raised by his grandparents in Mexico, and I’ve heard some great stories about his youth. He once got caught up in tornado winds while he was far away from home riding his horse. Thinking quickly, he used the saddle to strap himself to a tree to keep from being carried away by the wind as the tornado passed. I never heard what became of his horse. My grandpa was frugal, and throughout his life, he set aside money for my grandmother so that she would be cared for when he was no longer around. This has recently come to light, as no one in our family knew that my grandpa was only taking part of his pension and leaving the rest for her. He definitely took his family responsibilities head on and never shirked. No matter what else he did, he always made sure his family was cared for, and in doing so he created generations of people who would do the same. Grandpa never saw the inside of a nursing home because his family loved him and took care of him until he passed from this life. He spent his last days surrounded by his family. My grandpa lived an incredible life, and I will always feel like he left us much too soon. It’s so hard to believe that he’s really gone because it feels like he’s still here with us. I believe he is. That was a very touching tribute, and I also found it to be quite inspirational. Thank you. His life was very inspirational. A wonderful tribute to a man who gave much to this world. Thank you for your kind words. The world really is a better place because of my grandpa and good, honest people like him. And what a brilliant quote. I’m truly sorry for your loss. It must be terribly difficult to lose a parent.